The Ravens 3-1 start is very much a thing of the past, and now there’s been more and more chatter about head coach John Harbaugh leaving the team at the end of the season. The reports are gaining momentum, and now Sunday Jason La Canfora reports that there will not be a firing during the season, but with numerous changes coming within the Ravens front office after the year is over, it would be a good time for a new voice, ending the reign for Harbaugh as coach. The odds of Harbaugh being back in Baltimore in 2019 are quite bleak, according to several sources close to the situation, with next year set to be the final year of his contract. There will not be another one-year extension forthcoming, I’m told (Harbaugh agreed to such a deal prior to last season to avoid a looming “lame duck” season), and with rising general manager Eric DeCosta set to take over for Ozzie Newsome after the season, and the Ravens facing a possible roster overhaul, there is a strong sense that these sides will be moving on amicably. The parting of the ways makes perfect sense, Harbaugh and the Ravens have not been successful since their last Super Bowl being a powerhouse in the AFC, and haven’t really competed to be a Super Bowl contender in a number of seasons, not making the postseason since 2014. Expect Harbaugh to be a candidate for a number of NFL and even college coaching jobs, and it wouldn’t be a shock to see the Cleveland Browns take a long look at bringing him in – as they’ve already fired Hue Jackson and despite a big win for interim coach Gregg Williams Sunday over the Falcons, they will be in the market for a coach come January as well. 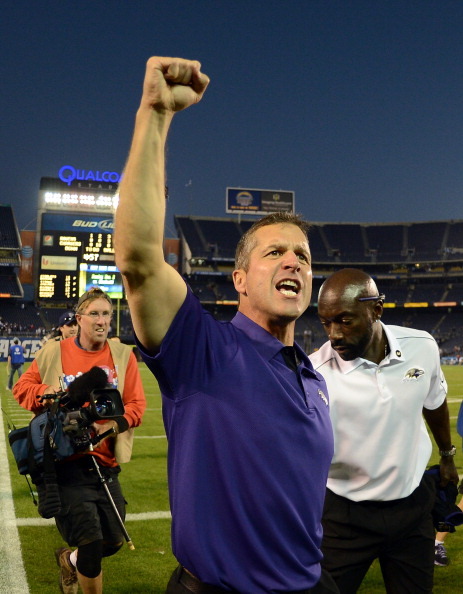 Be the first to comment on "Baltimore Ravens and Coach John Harbaugh Likely to Part Ways at the End of 2019"